Funeral services for Lucille Colvin Elliott, age 89, will be held Sunday at 3:00 at the Chapel Norton Funeral Home, Bishopville. Rev. Olin Kirkland and Rev. Danny Pierce and Honorary Minister Rev. Homer Hinson will officiate. Burial will be in the Mizpah Baptist Church Cemetery. Visitation will be one hour prior to the service at the funeral home. Mrs. Elliott was born in Kershaw a daughter of the late Sidney and Gertrude Hinson Wilson. 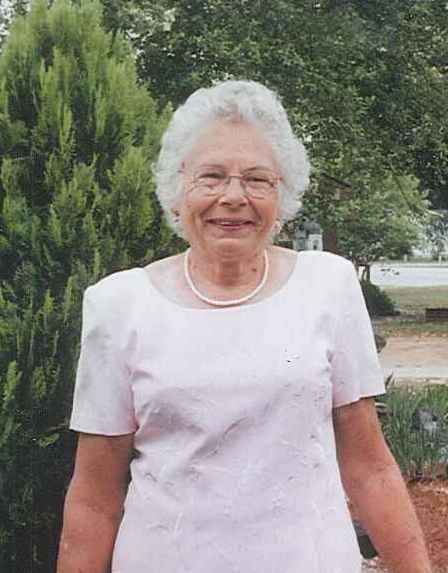 She was a member of Wayside Baptist Church and was retired from the Bishopville Manufacturing Company. She was a loving wife, mother, grandmother, great grandmother and sister. Surviving are two sons, Duane L. (Pat) Colvin, Jr., Bishopville and Randy B. (Patty) Colvin, Elgin; two sisters, Ethel Alridge, Lexington and Alice Shupe, Bishopville; daughter in law, Carol Williams, Stonewall, MS; eight grandchildren and seven great grandchildren. She was preceded in death by her two husbands, Roy Colvin and Harley Elliott; one son, J.C. Williams; one grandson and one granddaughter. Norton Funeral Home is honored to serve the Elliott family.